DEFLEX® supports almost all systems and additionally offers individual solutions with complete application to customers. Gaskets of the highest quality, manufactured in certified production facilities with an abundance of competence in providing materials suitable for use under almost all temperature and weather conditions. In standard form EPDM caoutchouc is processed with the highest level of restorative capability and best residual pressure-deformation, as well as silicone, elastic PVC and TPE offered for selection for the most varied products. To your advantage, we support a wide product range of aluminum and pvc systems. 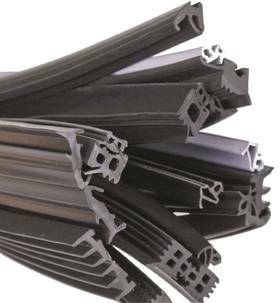 Also in case of the combination of different materials with sealing gaskets, DEFLEX® guarantees consistently outstanding quality. With innovative coating instead of through-coloring DEFLEX® Multicolor profiles e.g. achieve all good characteristics of the initial black EPDM seal. Special qualities possible on request! DEFLEX® – you can count on us!